Gaithersburg, Maryland, USA – October 18, 2013- GL Communications Inc announced today its MAPS™ Skinny Protocol Emulator and PacketScan™ - Skinny Protocol Analysis applications. 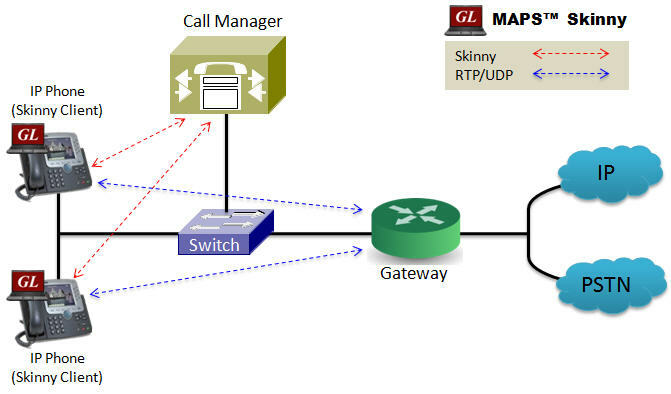 He added, “GL’s MAPS™ (Message Automation and Protocol Simulation) is an advanced and versatile protocol simulator/tester that can simulate a variety of protocols encountered in the telecom space, including ISDN, CAS, SS7, VoIP, Wireless (2G,3G & 4G) and others. It is now enhanced to support ‘Skinny’ - SCCP, Cisco Systems proprietary signaling and control protocol. Mr. Ramalingam further added, “The supported call control functionalities include: registration and management, call control (setup, teardown, and statistics), media (audio) stream control. In addition to call simulation in VoIP environment, the emulator also supports error tracking, regression testing, conformance testing, load testing, and message generation. It can run pre-defined test scenarios against test objects in a controlled & deterministic manner.